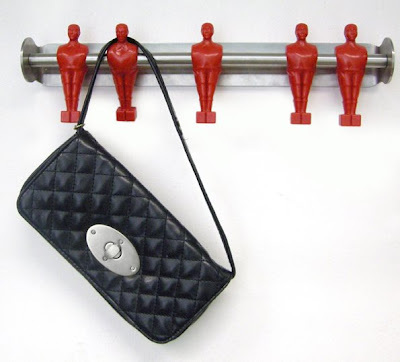 Another cool idea from Swedish designer Lisa Bengtsson. 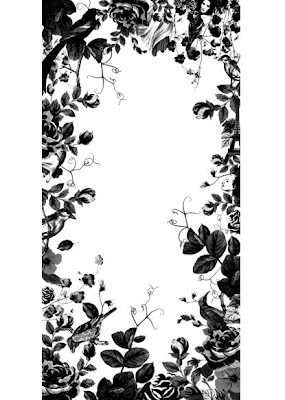 This is her custom ceiling wallpaper - tailored to your room size. Such a great idea and with lots of possibilities. 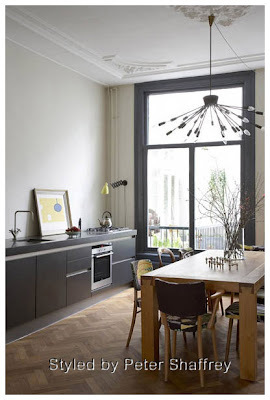 Great for defining a space in an open plan layout or repeated for dramatic effect. "I have the simplest tastes. 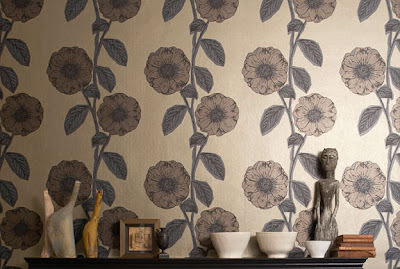 I am always satisfied with the best "
These wallpapers and lamps are by Jocelyn Walker. 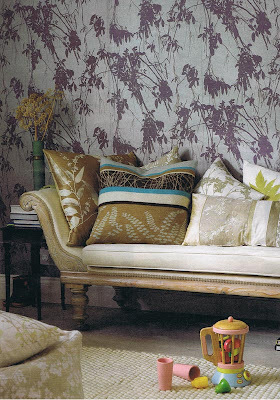 Apart from having a wonderful collection of wallpapers I love the way they are photographed in very 'ordinary' settings. 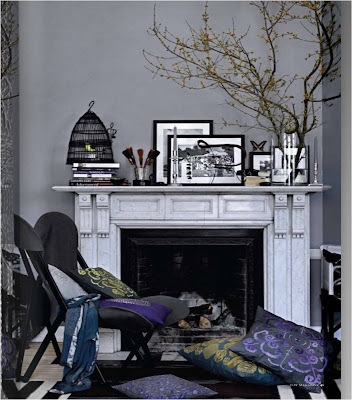 Browsing through the catalogue online many of the images show mantlepieces scattered with the small photos and bits and pieces that most have us have in our own un-styled homes. So it makes it easy to imagine what the paper might look like in your own house. A few favourite pictures and patterns below. I have officially gone soft. Having lived in Australia for three years I now find myself agreeing vigorously with my friends that its freezing when in fact it is 19 degrees. 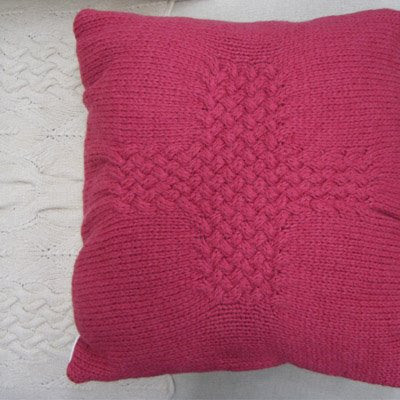 Our evenings are getting cooler though and its time to pull out the throws and rugs. These pieces are by Ruth Cross the company set up by textile designer Ruth Bridgeman. 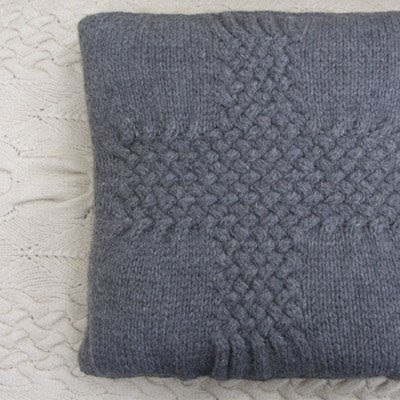 Ruth Cross products have beautiful texture and are handmade, mostly of wool. 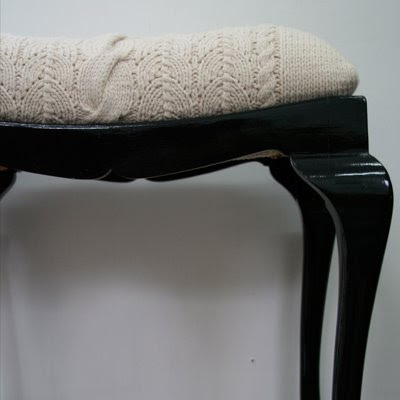 I particularly like the dressing stool below as my granny had a stool shaped just like this at her dressing table. 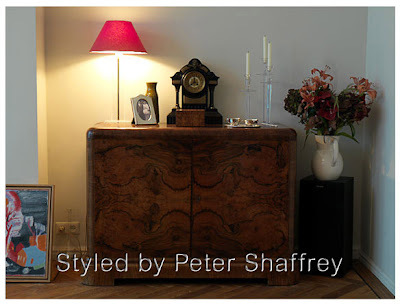 It is much easier to buy new furniture than to find an old piece which matches your requirements. 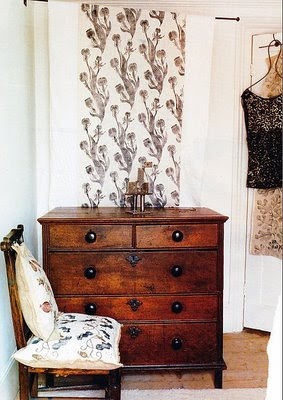 I am committed however to finding my perfect antique chest of drawers for our bedroom. 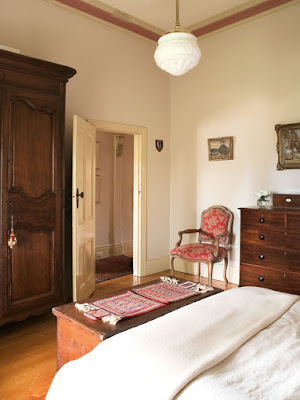 The bottom photo is not unlike our bedroom, but ours is whiter and brighter so I am on the hunt for a beautiful glossy, possibly bow fronted, large chest of drawers like these. 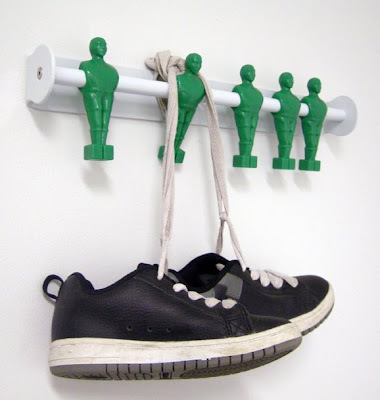 Or you might get the aspiring socceroos at home onside and get them to hang up something once in a while if you treat them to these hooks for their bedroom. I like the red / stainless colourway myself. You can get "offside' from WA based Scandinavian Exposure who also do a very nice range of other products ( a alot are from Norway ). 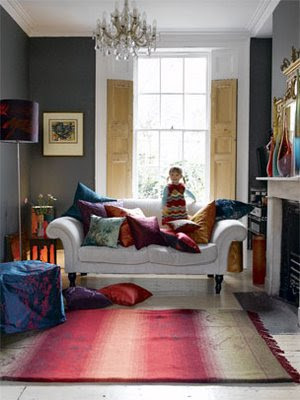 I especially like the washable Pappelina rugs. I can't believe I feel like I need a weekend away and its only three days since I was away for Easter. Must be the school holidays . . . 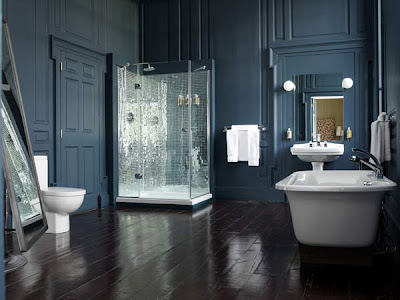 Anyway, this fabulously dramatic bathroom is in Bellinter House - a boutique country house hotel in Ireland. Not sure I'd be so bold as to go for the wall colour in my bathroom at home but could definitely enjoy this for the weekend !! 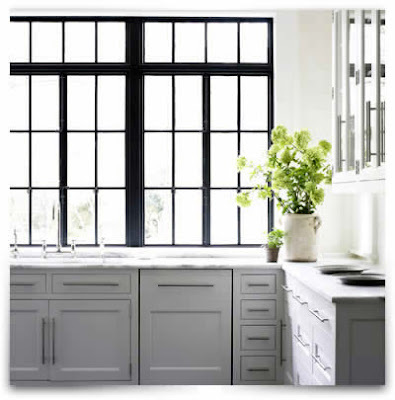 Emily Jenkins Followill takes beautiful soft pictures - a real challenge if you are photographing a big stainless steel bench as in the kitchen below. 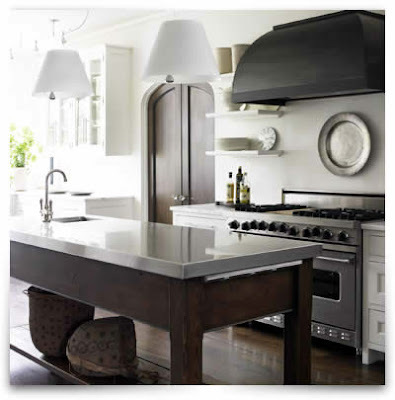 Apart from the space and light in this room I really like the curved range hood which picks up the arched doorway and the mixed bench surfaces. 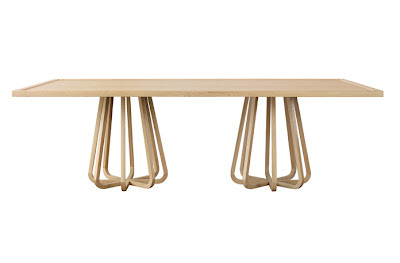 Zuster make high end contemporary furniture based in Melbourne. Are you one of those people who always chooses the most expensive thing in the shop ? I am. 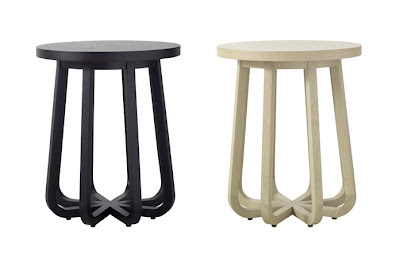 The loop based tables below from their Stella range are one of Zuster's pricier products but they are lovely and would last and last. See www.zuster.com.au for more. Also the company was founded by four sisters hence the name which is Dutch for sister. Enjoy the long weekend . 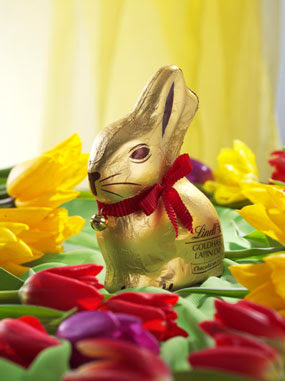 . . and try not to eat too many Lindt bunnies ! 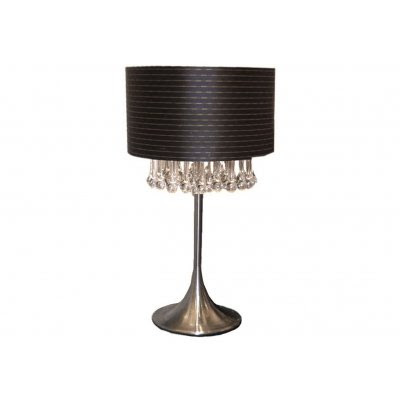 Love this lamp. 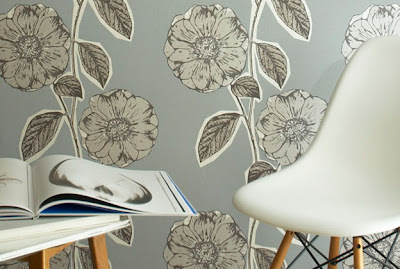 This the Arctic Pear designed by Ochre in the UK and I think its just gorgeous. 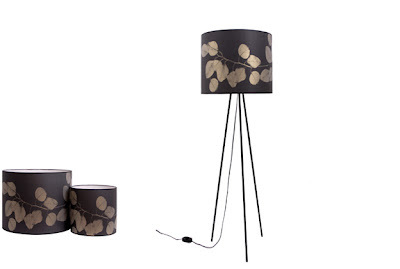 I need lamps pretty much everywhere in my house. We have been in for nearly two years now and are still way too reliant on overhead lighting. 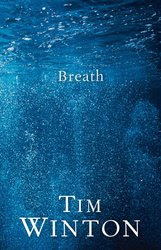 The other thing I am finding ( I am turning into such a granny) is that I need good light to read in so I have to think through both mood lighting ( see lovely reflections below) and task lighting. I have not even got a ballpark price for the Arctic Pear - am still investigating but have also managed to dig up a worthy competitor at Bisque here in Australia. 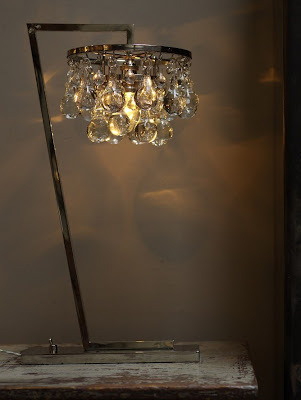 The 'Vagabond Brass' is a dressing table with a difference. Its designers, Blue Green & Co salvage furniture and fittings which would otherwise end up in landfill and make a quirky range of furniture. 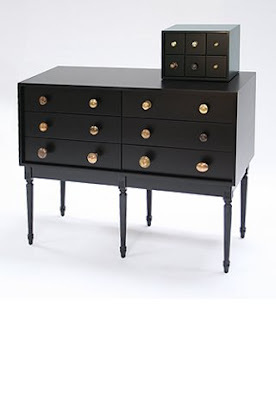 I love the recycled brass door knobs and the glossy black finish. The little set of small drawers at the top is perfect for cufflinks and other bits. You can read more about the company at www.bluegreenandco.com Check out their funky tree-like kids storage designs while you are there. Image: Blue Green & Co. 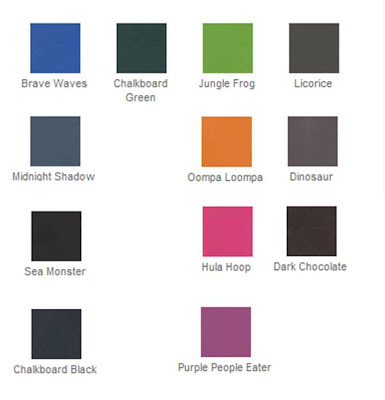 I have posted about Porters Paints chalkboard paints before because I love the subtle greens, navys and browns in the range. 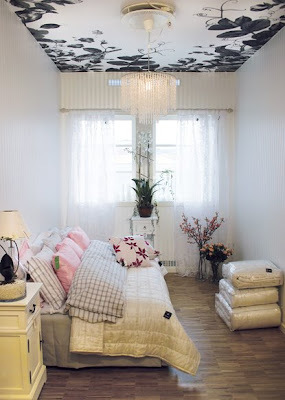 That being said most kids I know would love the big red circle in the room below ( photo via Design Shimmer ) and would probably choose Oompa Loompa or Hula Hoop over Sea Monster any day. There are ready made shaped chalkboards on the market - rockets, dinosaurs, animals etc but they tend to be smaller. The big red circle has more impact. This image is from the very stylish Day magazine produced by Day Birger & Mikkelson Danish fashion and homewares designers. 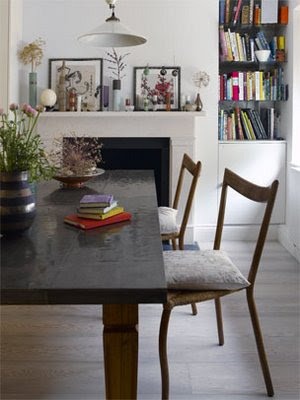 In the past I have been quite minimal around my home but increasingly am starting to think about displaying more of my photos and favourite pictures and copying some of these stylists' very effective layering. 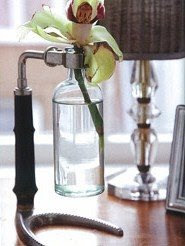 I would never have thought of placing a photo behind a glass vase for example. 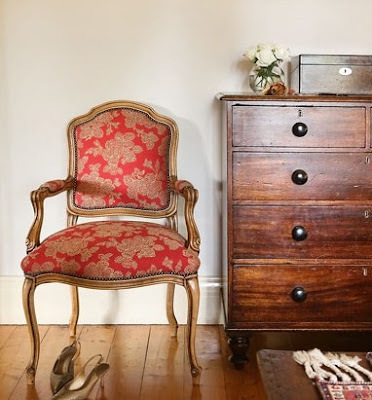 I have my eye on French provincial specialists La Maison at the moment as they have some lovely new products coming on stream including a black console table which is on my shortlist for my hallway. Anyway I spotted this gorgeous Verre cabinet yesterday and have fallen in love with it. 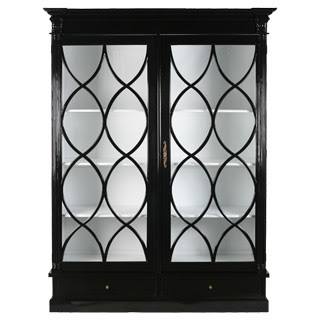 I just love the combination of its classic lines and the curved wood on the glass doors. 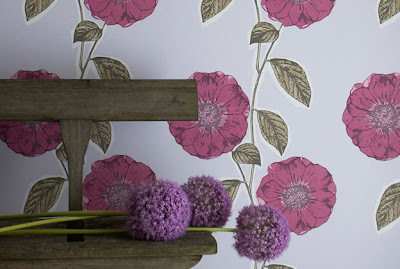 Clarissa Hulse www.clarissahulse.com is a British designer of fabrics, wallpapers and homewares. 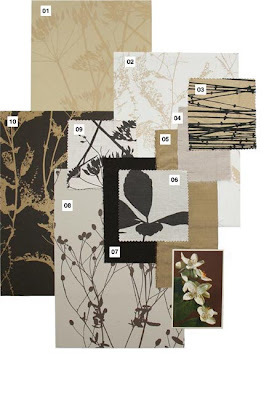 Many are based on a botanical theme and her colour palette ranges from very classic and beautiful naturals to a riot of colour and contrast. 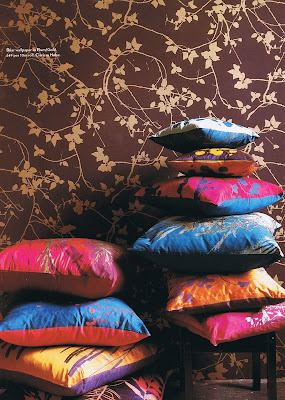 Some of her designs are available here in Australia through The Selvedge Group. 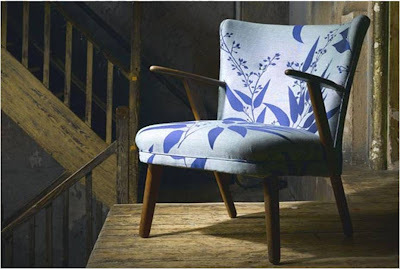 There is also a range of limited edition refurbished and reupholstered furniture available in the UK. My favourite is the blue chair in the first picture below. 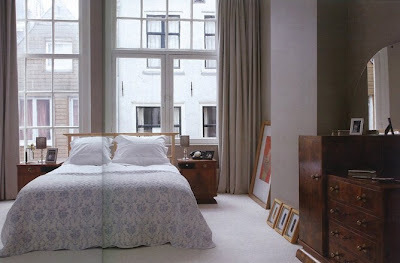 Clarissa Hulse's own home has been widely featured in the media in Europe and I have included a few shots below. 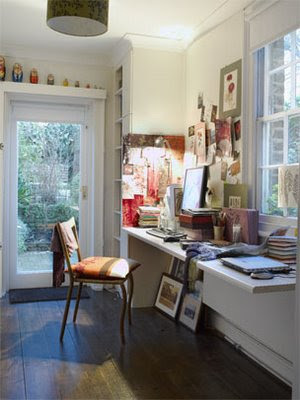 Love the study nook and the dining chairs (which look very like my favourites from Pols Potten). 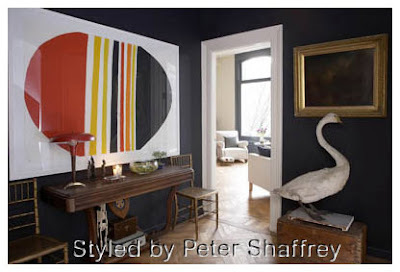 Finally I would also draw your attention to the colour palettes section of her website for more inspiration. 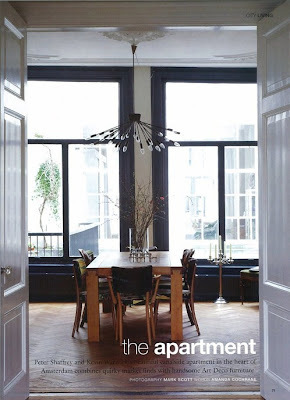 This room is styled by Danish interior stylist Sidsel Zachariassen. 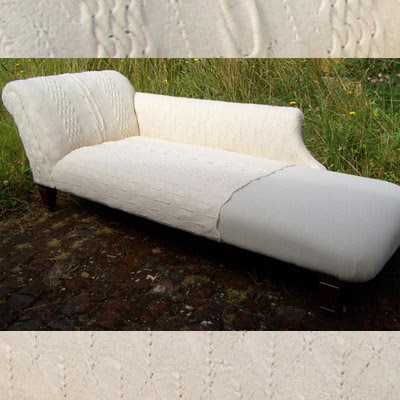 I saw it featured on Emma's Design Blogg a while back and kept it because of the very elegant sofa bench. 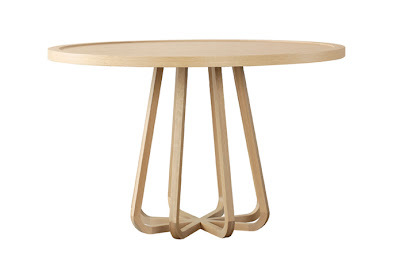 It is hard to tell whether the frame is wood or metal but it is just gorgeous either way.